The Green Dot Violence Prevention strategy is a comprehensive approach to violence prevention that capitalizes on the power of peer and cultural influence across all levels of the socio-ecological model. Green Dot capitalizes on the power of peer and cultural influence to create social change by engaging socially influential individuals from across community sub-groups in a basic education program that will equip them to integrate moments of violence prevention within their existing relationships and daily activities to create new positive social norms within their sphere of influence. The Idaho Coalition has implemented Green Dot in four local high schools. 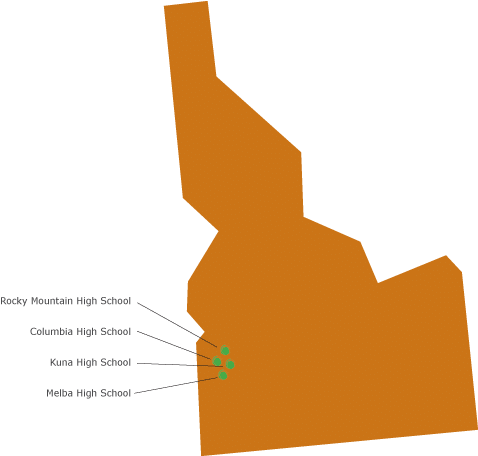 The Idaho Coalition is working in several high schools and with domestic and sexual violence programs across the state to implement Green Dot in Idaho’s High Schools. A short overview speech that introduces the basic elements of Green Dot while using persuasive and inspirational language to engage students in immediate action. 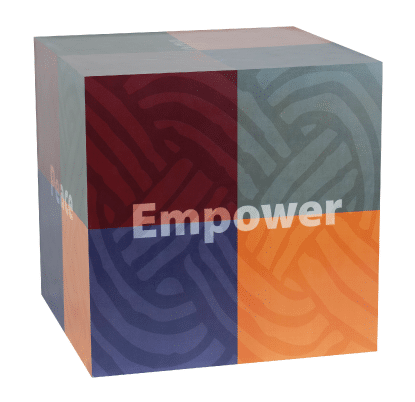 The basic elements of this speech are used to introduce members of any given community to Green Dot, generate community-wide buy-in, and begin the process of behavioral change. An interactive training designed to equip students with the necessary connection, knowledge and skill to increase their proactive and reactive bystander behaviors. Length of the training can range from 6 hours to a weekend retreat. Though the training can include as many community members as resources will allow, priority must be given to members that carry the most social influence across sub-groups. Social Norming Campaign: A broad range of social norming strategies are utilized to increase basic awareness and mainstream social acceptance of the core language and principles of Green Dot. Green Dot symbols that are associated with socially influential individuals or groups increase the social desirability of the targeted bystander behaviors.